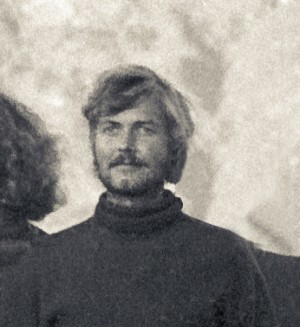 Marcel Bertels, at the Third Kopan Meditation Course, December, 1972. Photo courtesy of Lama Yeshe Wisdom Archive. As a child, I had an enormous attraction to and curiosity about Christianity, but as there was nothing and no one to nurture this curiosity, even in the Roman Catholic system of which I was part, it was gone by the time I was eight or nine years old. After that, I basically had no more space for anything to do with religion. As I went through my high school years in Amsterdam, there were a lot of questions in my mind about my future. I definitely wanted to do something meaningful in life. Thinking about it, I figured that probably the best way to make my life meaningful would be to focus on development economics in poorer countries, so I started as a student of economics at the University of Amsterdam. There were other questions in my mind about life in general, which were probably more of a subconscious nature. I saw some of my friends marrying and others in long-term committed relationships. Somehow, being married, raising a family and developing a career did not appeal to me much, but there didn’t seem to be any viable or logical alternative, so I didn’t quite know what to think. The future was a bit of a black hole; I remember it was quite unsettling. I needed more time to think, so I developed a plan to study until I earned my bachelor’s degree and then make a trip around the world. I was a part-time barkeeper during my studies and put aside the princely sum of about $800 for my trip. Interestingly, my job as a barkeeper gave me quite a negative outlook on people, as you really get to see the worst of people’s character when they are drinking! It really wasn’t a lot of fun to deal with them. In the early 1970s, life was cheap once you got out of Western Europe and from there on my budget was about one dollar a day. It was an incredible adventure as I was making my way East, spending time, for example, in pre-civil war Lebanon and a few weeks in Baghdad and Basra in the early years of Saddam Hussein’s reign. I hooked up with a Dutch friend, Niels, and later an American, Rich, joined the two of us. After reaching Herat in Afghanistan (we were welcomed to our lodge by the chief customs inspector who was peddling first-grade hashish to new arrivals! ), we decided to do something really exciting and planned to travel to Kabul via Bamiyan, the so-called “North Route” which could only be traveled by heavily equipped four-wheelers as there were no roads. Unfortunately, we had no four-wheeler and little money, so we decided that we would go by donkey. We traveled by bus to the staging place of the North Route, a military town called Qal’eh- ye Now. Beyond Qal’eh-ye Now, all roads ended and the wild north country started. The journey could take several months. We went to the local cattle market and bought ourselves four donkeys, one each for Niels, Rich and me, and one to carry the luggage. We hadn’t quite figured out how to ride them yet, and they didn’t seem to have saddles, but we figured we would work it out somehow. As we made our way out of Qal’eh-ye Now, we tried to manage and ride the donkeys, but it wasn’t easy without saddles. When we passed the military garrison, the commander called us into his office and told us that in no uncertain terms would we be allowed to continue. Although we weren’t happy about it at the time, I am certain that the good commander saved our lives. The Afghans were a wonderful and straightforward people; I always remember a terrific stay there. After traveling through Pakistan and India, Niels and Rich decided to go to Sri Lanka, but I opted for Nepal. Travelers reported “good curd, cheese and hashish,” things not generally available in India, so I journeyed to Nepal in September of 1972. In Kathmandu, I met up with Nicole Couture (now, Nicole Kedge). I had heard about Nicole before and had missed her by just a few hours in Greece, but I met her ex-husband Guy. We started hanging in Kathmandu together and did a yoga course. I stayed in a lodge called “Tiny Lodge,” sleeping on a mat for one rupee per night. Kathmandu was a cheap, magical and wonderful place. Nicole had heard about the Kopan course and had signed up. I decided to go and have a look and walked up to Kopan for the first time and signed up as well. I owe a great deal to Nicole for getting me up there. It’s clear to me now that I had been seeking something meaningful in my journey, but I never considered it might be religion. In fact, back in Holland, my friends and I had never had any space for religion, especially Eastern ones. I remember discussing with my friends an acquaintance of ours who had joined the Hare Krishnas; we all thought he had totally lost his marbles. I remember walking up to Kopan on my way to the course. The night before, I had met up with old traveling friends near Swayambhunath and we had splurged on hashish and tsampa porridge. I had eaten far too much and I had to stop four or five times on my way to Kopan Hill because of violent diarrhea. A fitting sign of the indefinite nature of samsaric pleasures, if any! I attended the famous third Kopan course and sat next to Paula de Wijs [see “‘Where I Needed to Be’” in Mandala October-December 2012]. Many of the participants became my life-long Dharma friends and colleagues. Lama Zopa Rinpoche was a huge shock to my system. I had never seen or met anyone who was so far beyond a normal human being. Rinpoche’s demeanor was always very stern and serious in those days, completely single-minded, like there was simply no time to joke, quite different from how we experience Rinpoche now. Lama Yeshe was very protective of Rinpoche’s time. Apart from his meditations, if required, Rinpoche would have four 15-minute appointments with students between 4 and 5 p.m. The accommodation was beyond Spartan. We stayed on the first floor of the old “school house” at the bottom of the hill. It wasn’t very well built, and every now and again, the mud floor would give away and someone would crash through. It was full of holes by the end of the course. I took to the Dharma truths like a duck to water. I was hugely relieved to find out there was a worthy alternative to life other than marriage and career. Within days, my mind was set and I knew in my heart Dharma had an answer for all my unconscious doubts and questions. I felt not the slightest doubt that Dharma provided all the answers I needed as well as gave a clear purpose for my life. After the course, I did a retreat in a farmhouse down below Kopan Hill. Dr. Nick Ribush and Marie Obst (Yeshe Khadro) were in the house next door. It was midwinter and I was quite literally freezing. Nick and Marie were the lucky ones as they had two water buffaloes on the ground floor below them which heated up the whole house with their body heat! 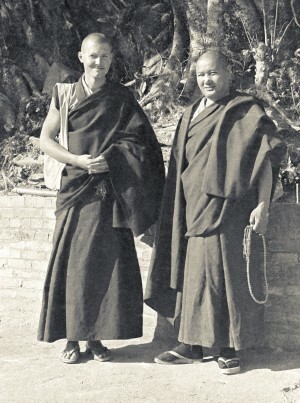 Lama Yeshe and Marcel Betels at Kopan Monastery, Nepal, 1974. Photo courtesy of Lama Yeshe Wisdom Archive. I decided to continue with the Eight Mahayana Precepts and took them every morning from Rinpoche. Apart from Rinpoche having his meals and early-evening appointments, Rinpoche was in permanent meditation throughout the day and night. I would walk up from the farm house and arrive at 4:30 a.m. at Rinpoche’s room. I would lightly scratch the fly-screen on the door of the little room, and then Rinpoche would get up and wash and prepare for the precepts. Sometimes I was alone, sometimes there were a few others. We never had to ask Rinpoche the previous day. All we had to do is to scratch the fly-screen and Rinpoche would give precepts, including a lengthy motivation. At the time it was considered natural and nobody seemed to question any possible inconvenience to Rinpoche. I had the single greatest fortune of my life by meeting the incomparably kind Lama Yeshe. While we were all at the course, Lama Yeshe was mostly busy with the small Mount Everest Center monks, looking after their education and every detail of their life like a very caring mother. To me, young and inexperienced as I was, Lama Yeshe appeared larger than life. His spiritual qualities and love were clear for all to see. To me, Lama was like a modern renaissance man ‒ his expertise span an enormous and wide variety subjects. I had once heard the story about Swami Prabhupada, the founder of Hari Krishna, who was said to be able to do everything better than his disciples. For example, nobody could cook as deliciously as the swami, and so on. I felt the same way about Lama Yeshe. Larger than life, fearless and far better at practical matters than anybody I had ever met ‒ a wonderful cook, diplomat, teacher, gardener, businessman, entertainer, planner, visionary, spiritual master and communicator. Even today, having seen and listened to many teachers, I do not think there is any equal to Lama Yeshe’s ability to express complicated Dharma concepts in one or two easy-to-grasp sentences. “So, simple, dear” as Lama used to say, and at that moment, it was. One of Lama Yeshe’s other unparalleled abilities was to turn Dharma lectures into an immediate remedy to what was bothering me most. I cannot remember ever attending a lecture by Lama Yeshe in which some of my problems were not addressed and resolved on the spot, and many attendees had the same experience. Although Lama pretended he needed our support to run the soon to be established “FPMT” and invited a number of us on to its Board, in essence the entire framework and basis of the FPMT came out of Lama’s own wisdom. There is no question Lama had very clear and precise ideas how the FPMT should be organized and all that really happened in the early years of the FPMT was that Lama was introducing his vision and ideas and then waiting for us to catch up with him and make them our own. The entire “FPMT Handbook” that some of you may be familiar with, and which sets out how centers should be run, is in essence an elaboration of Lama Yeshe’s vision and ideas. The road to Kopan for me opened up a world of immense potential and possibilities. I feel so fortunate that from birth there seems to have been some invisible karmic fishing line that irresistibly pulled me towards this road. I hope many people after me will have the good fortune to discover this road. Among the first wave of FPMT monks and nuns, Marcel Bertels was ordained in 1974 and remained a monk for 30 years. In 1982 when Lama Yeshe formed the original FPMT, he became a member and served 15 years. He was in charge of Maitreya Project’s affairs in India for 8 years. 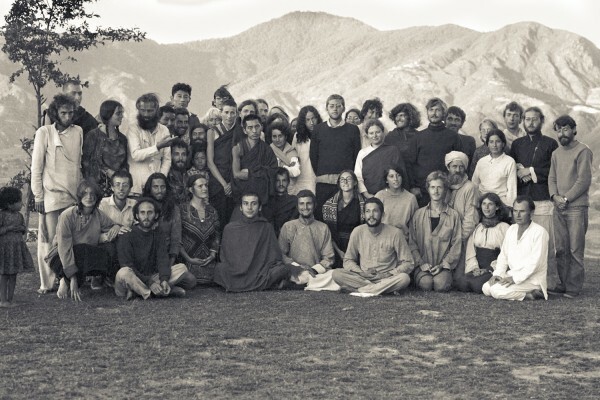 Marcel founded a business in Kathmandu, Nepal in 1975 to support the Sangha. He is still responsible for this business and lives in Kathmandu.